We need to address a number of internet services and find good alternatives that we can put together into a consistent, intuitive, secure, sustainable and global eelo service. Email means some postfix configuration on servers, with POP3 and IMAP, all with all access secured over TLS. Plus a webmail access (I’m considering to use Mailpile). iRedMail can set up all that easily, with DKIM and SPF correct configuration, and will even make possible to offer custom domains for the eelo email service. But if we want a private service, we’ll need security on servers, where emails are stored. That’s a key aspect and we need to apply the best practises for setting up a rock-solid secure server for storing email. I’ve already talked a bit about search in my previous posts. DuckDuckGo and Qwant have become two excellent alternatives to Google/Bing/etc. But I think we need to set up a generic wrapper for search, like search.eelo.io, and we’ll put whatever we consider to be good behind. That could be an aggregation service as well. 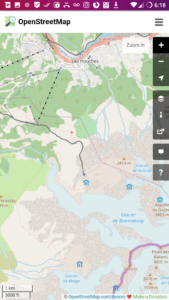 As for maps, there is an awesome and adorable project that is OpenStreetMaps. It’s growing and is catching more and more attention from users and medias as an real alternative to Google Maps. It also now offers directions and there is a “street view” ongoing project. We’ll have to integrate it as maps.eelo.io, probably with some customization and dedicated servers. Of course, all these default settings will be integrated in the eelo ROM (the smartphone operating system). We have two choices for a good and open-source Office alternative for online usage: LibreOffice/Collabora and OnlyOffice. My preference goes for OnlyOffice because it’s attractive, efficient and allows realtime online collaboration between several users on office documents. 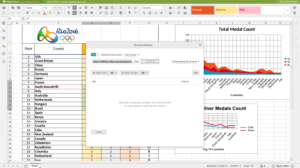 I’ve used OnlyOffice on my servers for several weeks now, and beside a few glitches, it’s a fully viable alternative to Google Docs or Office365. The “cloud storage” service is a big and key part of the project. It needs to be very carefully choosen and integrated because it’s going to be at the center of users’ digital life. There are several projects that offer these features, such as cozy.io, OwnCloud and NextCloud. For now I have tested NextCloud successfully and I must say that it’s amazing! 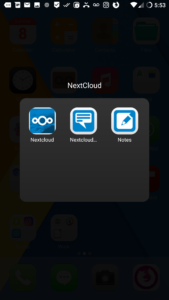 You can easily set up a NextCloud client on your smartphone, and do the same on other PCs. Then you get all your content synchronized. Very convenient for pictures, documents, notes… I’ve tried on Linux (and Mac) and it works well. The good news is that NextCloud can also serve a calendar that can be shared/accessed from various devices. So for now, I’m going with NextCloud. 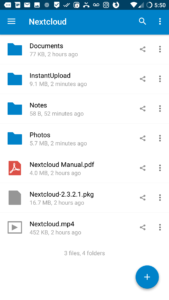 I’m not sure about OwnCloud benefits over NextCloud. Any advice? 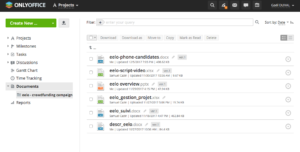 The first goal of eelo will be to offer a fully functional and secured implementation of OnlyOffice+NextCloud. As there is a debate about self-hosting, eelo will also provide the service as software instances that can be installed on a user’s server, in the cloud or at home, if they will so. Of course you are using Facebook. I do as well, not very often though. There is also Twitter. Facebook in particular is a real nightmare in term of users’ privacy. They know a lot about billions users. If you happened to do an advertizing campaign on Facebook, you probably noticed that you can target people categories. Age, gender, place of living, income, … There are dozens criterias that prove that they really know a lot about people. So Facebook is something we should stop to use in favor of better alternatives. There is a good news: you can use Mastodon. It’s a decentralized social network. Without any central big brother who can use your data to fuel a business model. The issue is that social networks have a greater value when you can find most of your friends/family there. Which is not the case yet on Mastodon, but in tech communities. So we’ll keep an eye on Mastodon and see how eelo can interact with the project and possibly integrate it. As for messaging, everyone will be able to use their messaging app of choice, but eelo will ship with Telegram by default. The reason is that Telegram is probably the most secure messaging app, and also the most respectful of user’s privacy. It also provides quality voice calls over IP. Last but not least, its client is open source (although the server infrastructure is not). We will need an identity provider at some point. It will be a central point for authentication. OpenID is an option, although it clearly lacks some momentum at the moment. Brainstorming is needed on this! While it may be a more minor aspect we’ll also probably need a translation service, voice recognition service, speech service, video/voice streaming services… There are many initiatives in this field, but they are not a priority for now. I’m thinking about releasing eelo tokens, based on Ethereum. It would be a way to get access to some eelo services, and also to thank contributors. Again, most eelo services will be free because it’s the only way to compete against the so-called “free” services from Google, etc., and it will remain in the public interest first. But selling some premium services, high-end eelo smartphones, consulting… will be part of the model to fuel the project and make possible the free services. I have the feeling that using eelo tokens could help a lot to ease service transactions between all the parties involved in eelo. 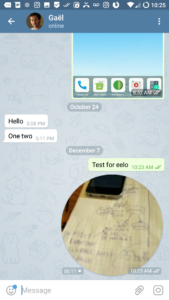 We’ll also probably have a separate eelo development branch for more advanced projects. Actually, I’ve been thinking a lot for a while to turn the smartphone into a conversational device – text or vocal – with conversational apps instead of legacy applications. But that’s cutting-edge development and won’t be available into eelo by default. Next time I’ll unveil a roadmap for eelo products and services and at the same time, the first eelo website is going to open. I’ll also open a crowdfunding campaign on kickstart that will be used to fuel our early development. EDIT: eelo kickstarter campaign is now open! I don’t think Telegram is the most secure chat app. By default, it doesn’t use end-to-end encryption (see , only “Secret Chats” do so, but no one uses them by default because then it means you cannot access your chats on another device) and stores everything on a server somewhere. You may want to consider Signal , which does everything Telegram does plus end-to-end encryption by default, everywhere. In addition, it can be used as the default SMS app, which means if you send a message to someone who doesn’t have Signal, it will send a basic SMS, but if that someone has Signal installed on her phone, it will send an end-to-end encrypted message through Internet. “I’ve been thinking a lot for a while to turn the smartphone into a conversational device – text or vocal – with conversational apps instead of legacy applications.” → I don’t understand this paragraph. Can you explain what you define as “conversational apps”? Thanks and keep up the good work for eelo! Regarding Telegram vs Signal, I thought like you until I realized that Signal was sponsored by the NSA. And that many state agencies are getting nervous with Pavel Durov. That’s a sign (in my opinion). For this reason, I’m not using Signal anymore. This is fully opensource, and trained on a big dataset. It is pretty new, and mostly focused on speech-to-text for now, but it looks very promising, and text-to-speech appears to be planned as well. Though, you would need another component to do the Natural Language Understanding, if you want to provide conversational services. How about Protonmail? It is fully encrypted and open-source. If you want to build your own e-mail solution, you could build it on top of it. Hell I love Telegram UX and UI. But the fact that their server-side code is closed source, and that they use their own encryption algorithm (called MTProto) instead of picking a standard one still bothers me a lot. I think you should take a look to Caliopen. They are trying to unify messaging system by creating a single interface for all the existing messaging apps (twitter, facebook, e-mail, etc.). The dev team is French and the product is currently in alpha, you could maybe get in touch with them. Oh and it’s FOSS of course. The project Eelo seems very interesting. But from my own point of view, it happens late while in Europe. At this time i have this Jolla with 1 under Sailfish OS. Indeed, Sailfish OS may be less “open source” that Lineage OS, but it remains that it is a european project. 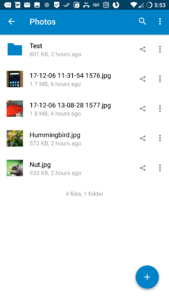 I used it with a framasoft nextcloud server for agenda, adress, and share files. The advantage of my Jolla is that although product there are more than 4 years now, it is still maintained ! It still receives updates and the 2.1.4 is on the road (version 2.1.3.7 current, including fixes for the flaw wpa2). Even if Jolla does not more after-sales service on the equipment, it is quite easy to find spare parts on the net (this is less the case for the Intex Aquafish yet sold to 20,000 ex). Now Sailfish OS can be installed on the Xperia X from Sony. But very quickly one can understand the difficulty of this type of project, and even its viability: what to do in case of a hardware problem ? What after-sales service ? What is sustainability ? It’s will be the same questions for your project. In the meantime, as a linux user since the mandrake 6 and now debian and mageia, I’ll be watching your project very, very closely. But honestly, I wonder if we shouldn’t “consolidate” our forces around a project like Jolla, and they will go back even more in the race, notably by reviving the electronics side of the project, that is to say the hardware part of the smartphone. Telegram and Signal are not that ethically. Signal needs phone number for registeration. Why don’t you choose Wire ? It’s all that you are looking for. Everything is end-to-end encrypted by default, and client and server are open source code. It’s possible to do chat, audio/video in HD quality end-to-end encrypted. Group chat/audio as well. Multi device, multi plateforme. So please have a look. From my point of view, Nextcloud is the way to go. 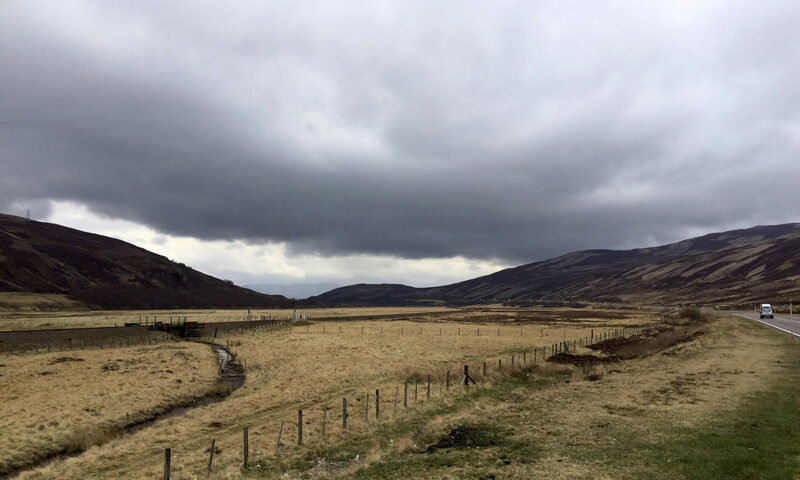 As a fork of Owncloud, it started with the same features but since it has attracted most developers, it is now Owncloud that has to play catch up. However, Nextcloud is great but far from perfect: the data model is grossly inadequate so it makes it much slower than it could be (it stores everything into SQL tables but does not follow the SQL model, so database operations are extremely inefficient). I think you should get in contact with the developer of Simple Calendar since it aims to create a very wide open source alternative apps for an stock system. Just please don’t burn a huge number of apps into the ROM. One man’s “must have” app is the other man’s bloatware. You can always nudge the user to install recommended apps from whatever app store you choose to implement. Nice to have: file system compression and deduplication (like many people I am struggling with 16 Gb and no SD card slot on an otherwise great phone). Hi and thanks for your reply. The conversational UI concept is very interesting! In a legal case in the US, the only thing they were able to transmit was the account creation date and the last connection time. Nothing else. Not even if this account actually communicated with another account! I feel like Signal is a more robust and secure piece of software than Telegram… Plus, Signal can work as the default SMS application too, which means if one of your contact doesn’t use Signal, you can still use Signal to send him regular, unencrypted messages! This messenger uses E-Mails encryptet by opengpg using autocrypt. It is fully operational and fast growing. It’s worth to take a look. K9-Mail is going to use autocrypt as well, it should be the first choice. Will there be an eelo-image for the Samsung Galaxy S8? …if the eelo server os could be based on a virtualization like proxmox on powerful servers the nodes could be migrated (move) to between machines and locations, besides having snapshots and sending them to backup locations. Apache CloudStack seems preferable when building an own distro for selfhostable eelo server nodes. Are you planning to make device rooted by default so advanced user can controll low level permission. one of the thing I hated about android is not providing to disable GPS module completely(system level) without rooting. Even if I disabled GPS OS level some app still enables it wihtout my consent and I am facing it frequently on non-rooted device. my last information about Telegram is, that it uses much more credentials it should need (compared to Treema) and it uploads your contacts in clear text to server elsewhere, not just the hashes of the contacts (as Threema does). Is there no better alternative? If we install none, most people will install messenger and whatsapp. 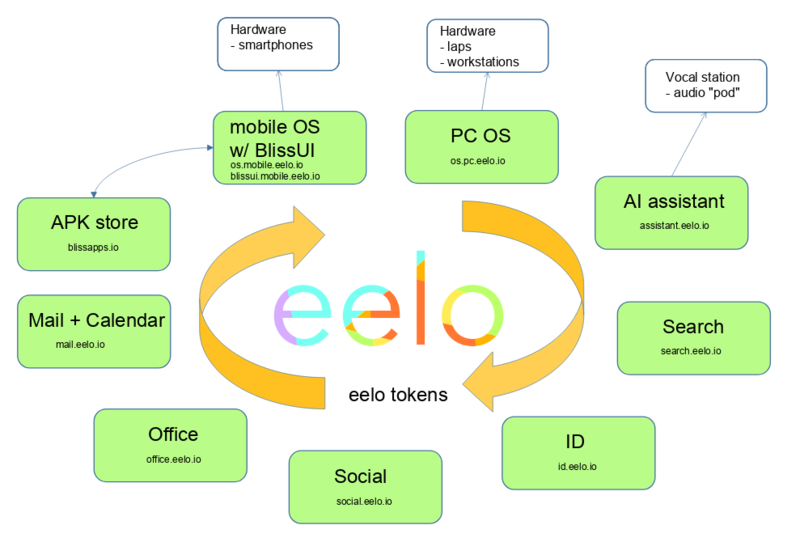 Next PostNext Leaving Apple and Google: my eelo odyssey. Bootstrap!